It’s a new year, complete with resolutions and renewed resolve for cultivating our creative outlets. And, I’ve taken steps in providing better photos for sharing some of the results. A better camera does not make a better photographer, but it does help in providing more tools and control for capturing images in an interesting way. What’s exciting is that I can dust off the old lenses I had for my first SLR, a Pentax K1000 that I bought 17 years ago. And, I’m happy to report the ol’ lenses work just fine with the new Pentax digital SLR (a brilliant decision on their part). The following photographs were taken with a completely manual 50mm lens. There is something satisfying about meshing old and new technology and coming up with good results. 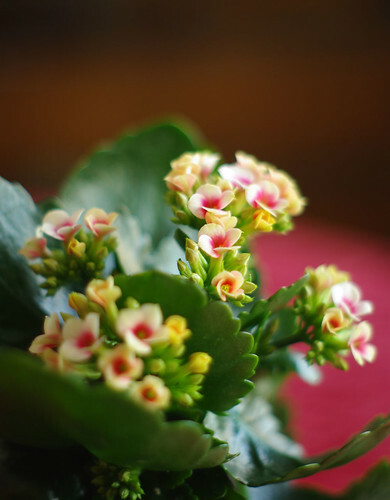 This Kalanchoe, a new year’s gift (thank you! ), was just waiting to show off a little. 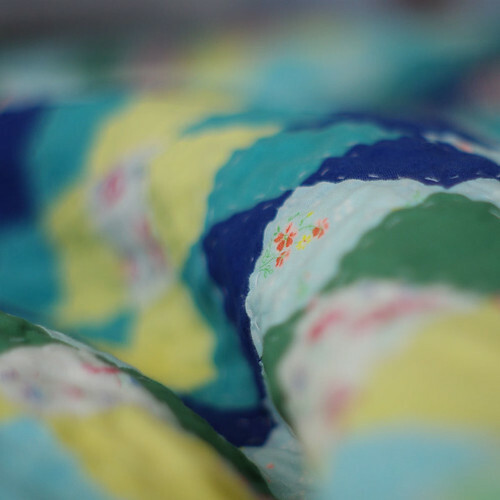 This is one of Virginia’s quilts she made a number of years ago (yes, she does other non-knitting activities). 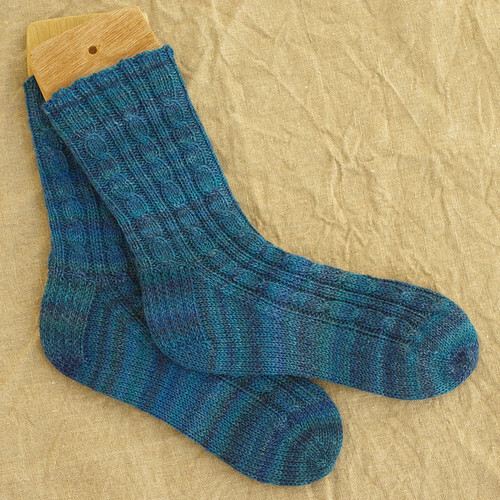 And, since you are so used to seeing socks on the blog, I didn’t want to disappoint. 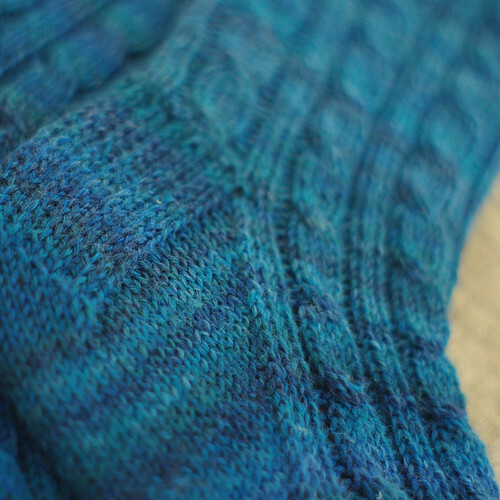 Virginia knit these using Trekking XXL (Turtlegirl, you might remember swapping this yarn with her), and modified a cable sock pattern by Nancy Bush. I do! It shows off the cable pattern really nicely! I love all the nuances of color in it. So pretty!